Cassandra is using Smore newsletters to spread the word online. Why should Joule use geothermal energy? The real question should be, why not?! Geothermal Energy is renewable plus it has no pollution! Its also money saving! Why should Joule use Geothermal Facts. 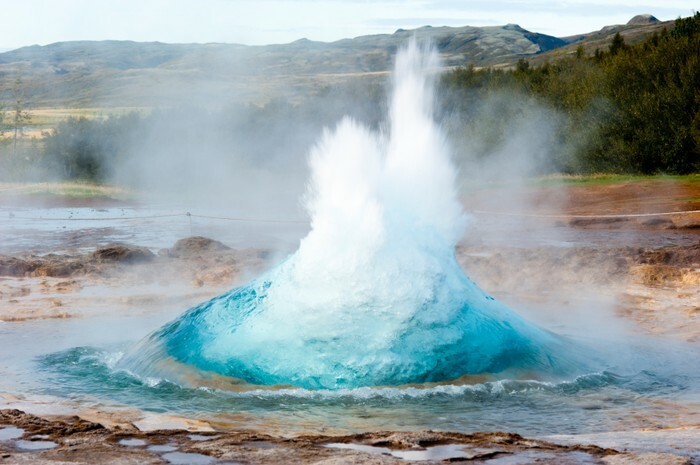 Well did you know that we have used geothermal energy for thousands of years! Why shouldn't Joule use geothermal energy? Unlike coal geothermal is clean and safe for the environment! Geothermal doesn't even depend on the sun like other energy resources. So if the sun explodes we will still have geothermal energy! Of course we wouldn't need it because we need the sun to live, but you catch my drift.. 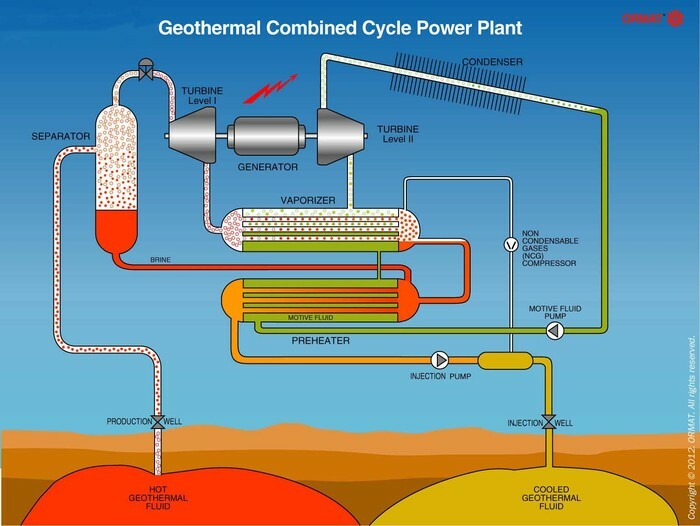 This is a labeled Power Plant of a Geothermal Energy Plant. Water in Underground Reservoirs is heated to high temperatures by magma. Production wells drilled up to 10,000 ft. below the earths surface tap into this hot fluid. Under its own pressure fluid flows through these wells toward the surface. As it travels the pressure lessens causing a small amount to become steam. Together the hot fluid and steam move through a surface pipeline to a wellhead separator where the pressure is reduced. Here most of the fluids vaporizes and flashes into high pressure steam. Any fluid not flashed into steam moves into a standard pressure crystalizer to produce standard pressure steam. Remaining fluid is then flashed at lower pressure to create low pressure steam. All steam created in the plant is then sent to a turbine on sight. The force of the steam spins the turbines blades. Which turns a shaft that is connected to an electrical generator. An electrical charge is created and directed to a transformer where the voltage is increased and sent don power lines. Any fluids into flashed into steam return into the underground reservoir where in time they will be reheated and reused. -ImageMaker Advertising Inc.